We don't just Clean it...We GREEN it! There is growing evidence showing that green cleaning provides benefits not only to cleaning staff, but also to building occupants. 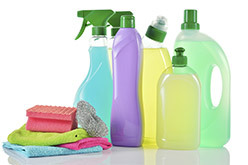 In keeping with our commitment to provide our customers with the highest quality and environmentally responsible facilities services solutions, we offer a green cleaning program. AHI takes a life-cycle approach, evaluating a product from its raw materials through the manufacturing processs & ending with recycling or disposal. Products that pass these rigorous science-based evaluations can earn certification. 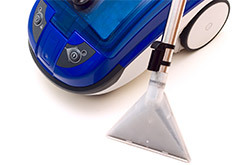 Vacuums are equipped with high performance filters, micro fiber cloths that ensure the attraction of minute dust particles, and mixing systems that take the guesswork and risk out of mixing chemicals. AHI's LEED Certification program can contribute over 40% of the points neccessary for basic certification. 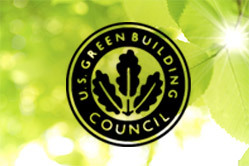 When combined with AHI’s operations and maintenance capabilities, we are one of the few companies that can self perform the scope of services necessary to help you achieve LEED-EB certification. Four types of specialists concentrate on defined tasks such as light duty and trash, vacuuming, restrooms, and utility work. This leads to high quality work, easier training, and a better bottom line.